Hangermate is an all-steel threaded fastening system designed for suspending steel threaded rod overhead in pipe hanging, fire protection, electrical conduit, and cable-tray applications. These anchors are ideal for installing threaded rod vertically. 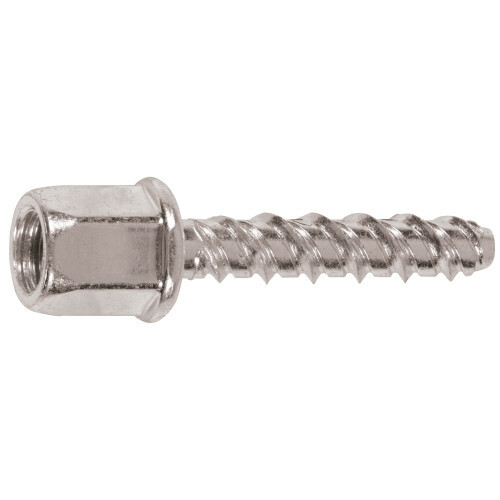 These threaded rod anchors can be used in concrete ceilings, beams, and columns. Hangermate fasteners should be installed with the appropriate size standard drive sockets and adjustable torque, battery-powered screw gun or hammer drill.